There is an old saying that claims, “There can be no good without evil.” While no film is evil, unless it’s in the title, because then it has to be true, you can take the saying and change it to “There can be no good movies without bad ones” and it would kind of fit. 2015 has been a great year for everyone who loves films. We welcomed back friends from a galaxy far far away, and we got our usual handful of comic book movies to drool over. Lost in all of that were some really great films, some that opened your eyes to a problem, while others just took you on one hell of a ride. While choosing your ten favorites can be hard when you see over two hundred movies a year, these ten films to me are the ones I loved the most. While you might not have heard of this film from Germany, it’s definitely worth seeking out. “Victoria” tells the story of a young woman, whose flirtation with a guy, turns into a night of almost deadly consequences as he and his friends must repay a debt. Another gem from Germany, that tells the story of a concentration-camp survivor, who after facial reconstruction surgery searches Berlin for her husband, who she thinks betrayed her. This movie is incredible throughout, with an ending that will leave you speechless. This is the first film on my list not to hail from Germany. Instead it comes from the mind of Nick Hornby (High Fidelity), a novelist who has taken to adapting other’s work for the screen. “Brooklyn” is the story if Ellis (Saoirse Ronan) and her immigration to America in the fifties. This is a beautiful love story about the meaning of the word ‘home’. What does it say when the most human film of the year doesn’t have any humans in it? This follows the life of Michael Stone, but really could be the story of any of us on the mundanity that life becomes, as we get older. “Anomalisa” has so many layers to it that one viewing won’t reveal enough as Charlie Kaufman brings another film to incredible life that will leave you in awe. 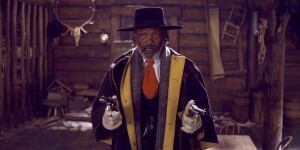 With the words the eighth film by Quentin Tarantino next to the title, you knew you were in for a treat. Returning to the western genre, as he tells the story of a group of characters trapped together in the dead of a Wyoming winter. 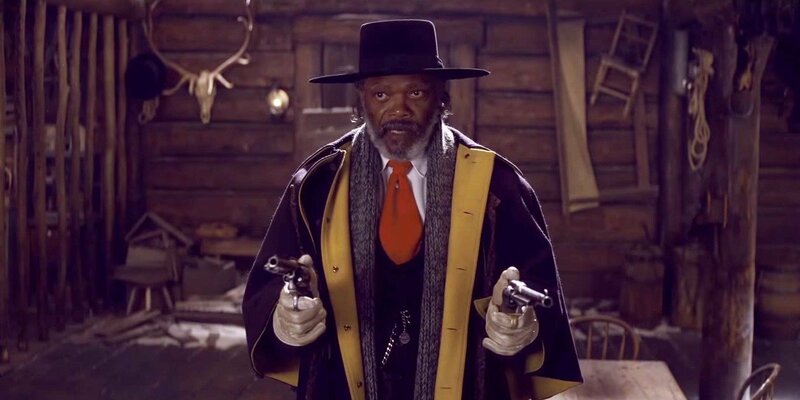 “The Hateful Eight” is “Clue” meets Tarantino, and it’s as good as it sounds. If you missed 2012’s “The Act of Killing”, after you read this, seek it out. This documentary about a man and his family who confronts the men that killed their brother during genocide in Indonesia is a companion piece to “The Act of Killing”. This film will often leave you shocked and saddened as it shows the underbelly of humanity. You know I had to make room for this beautiful story about a mother and her son who escape captivity. With performances that leave you wanting more by Brie Larson and Jacob Tremblay, “Room” is as beautiful as haunting a film you will see. The telling of ones life on film can be tricky. Often people take the “crib to the grave” approach that can work as often as not. Aaron Sorkin took a different approach, as he follows Jobs backstage on three iconic product launches. 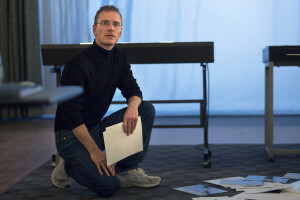 With Sorkin’s dialogue and Michael Fassbender and Kate Winslet spouting it out like Shakespeare, “Steve Jobs” is a biopic done right. 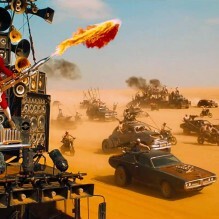 No movie brought me more joy this year then George Miller’s return to the Mad Max world. “Fury Road” is just an insane movie that never loses its grip on you. This is one movie that puts the “pop” in popcorn, as you won’t be able to take your eyes off the screen. I always knew it would take a special kind of film to knock “Fury Road” off the top of my list, and for me “Spotlight” is that film. This is the story of how the Boston Globe uncovered the scandal of child molestation and the cover up by the local Catholic Church. A film with perfect pacing and excellent storytelling, “Spotlight” for me was as good as it gets for 2015.